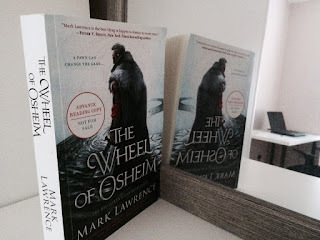 Mark Lawrence recently challenged his facebook followers to give him a page number between 1 and 415 and he would try to find a spoiler free quote to share from that page of The Wheel of Osheim. There may have been those who hoped to tease the entire book from him in a giant literary jigsaw and so get a drop on its June 7th release date. For those who have not yet got their hands on an Advance Reading Copy - circle that date - (Think D-Day landings + 72 years and 1 day). The Wheel of Osheim is another feast of quality writing and high "quote per page" density. For me though, the quote that spoke to me most comes from page 343. "A story will lead a man through dark places. Stories have direction. A good story commands a man's thoughts along a path, allowing no opportunity to stray, no space for anything but the tale as it unfolds before you." There are times in our lives when we all need a story that good and The Wheel of Osheim is itself just such a story. I think I will struggle to rein in my review, for the book sets so many dominos toppling in different directions in my mind. The joy, as ever is in Lawrence's writing, his vivid imagery and his charmingly reprehensible characters cast mercilessly into a raging torrent of a plot. Jal's timeline is entwined in a braid with Jorg's, the two very different heroes inhabiting the same time and setting. Here, as in Prince of Fools, the stories bump briefly alongside each other, ships that pass, somewhat drunkenly, in the night and part - the one not entirely untouched by the other. 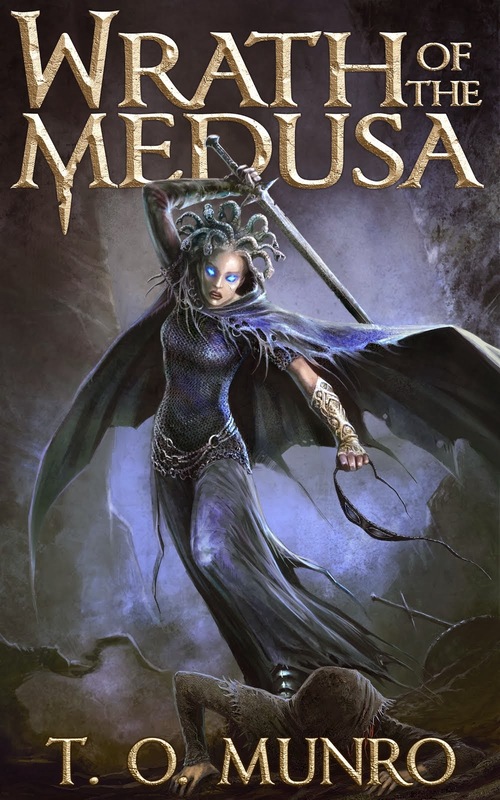 However, even for those of us who followed Jorg all the way to the end of Emperor of Thorns, Lawrence still provides plenty of heart-in-the-mouth alarms and surprises as Jal skitters along at perilous heights and depths. Along the way, both Jal and the reader get some new perspectives on old friends some of whom need particular watching! 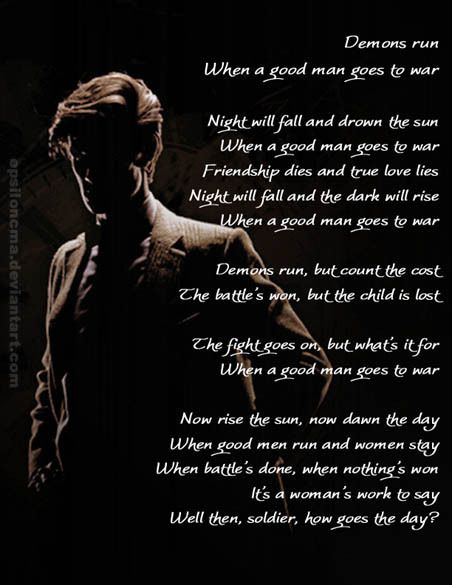 There is a poem from the mid-season finale of the sixth Dr Who series that the Wheel of Osheim put me in mind of. 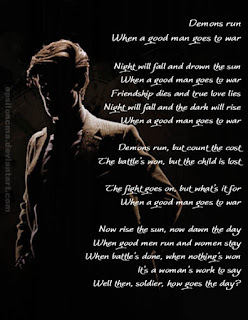 "When a good man goes to war." odds stacked so heavily in my favour that the only danger to me is being crushed by them should they fall. My main rule of running, after "don't stop" and "go faster" is "go high or go to ground." And to be honest, looking at the foes Jal faces, even Jorg might have thought twice about plunging in. For me there were other resonances between Demons Run and the Wheel of Osheim. 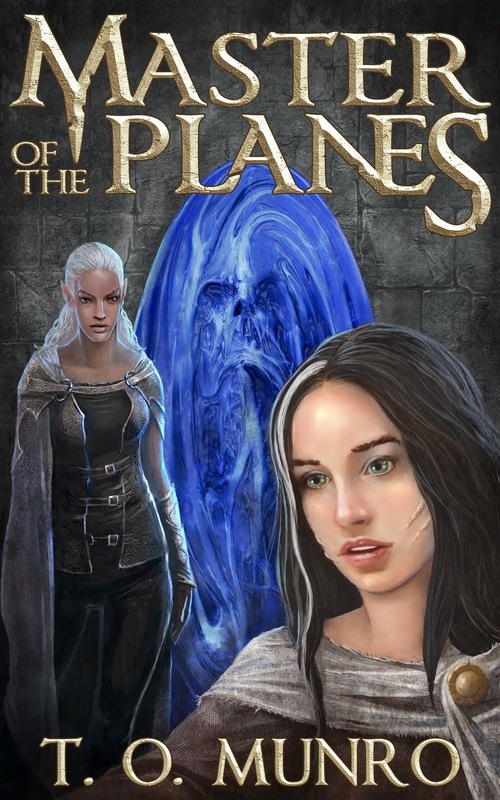 There are demons, there are men who run (Jal chief amongst them) and women who stay and there is the lost child - Jal's unborn sister, murdered in his mother's womb by the necromancer Edris Dean. 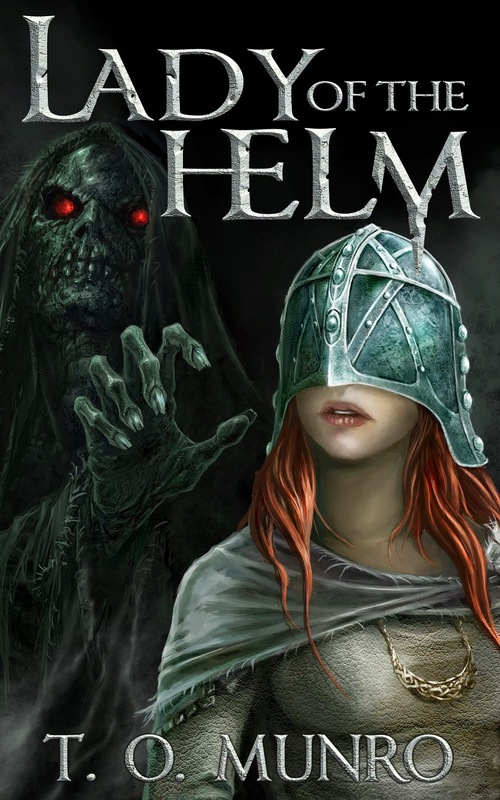 The child may have been a pawn in an undead game, but - as the book's cover says - a pawn can change the game. In my limited chess experience that is usually when the pawn is transformed into the most powerful piece on the board - a queen. The threat of that transformation drives Jal and the story on, through Hell (one l or two, it's all the same) and out the other side. Lawrence's Hell (or rather Snorri and Jal's Hel) reminded me of the Robin Williams film "What Dreams May Come" from the 1990s. The film was about heaven rather than hell, as a doctor already hit by family tragedy is flung into heaven by a road traffic accident. 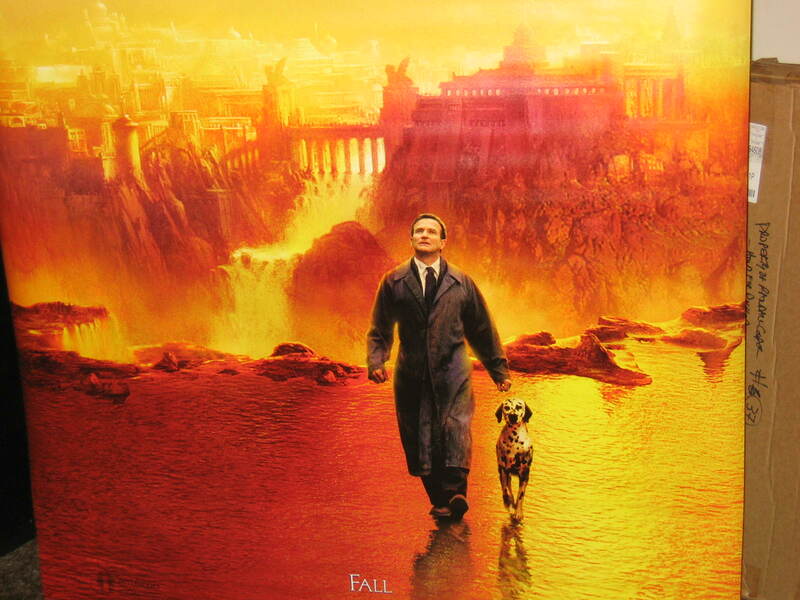 But both the film and Lawrence's book paint a vivid and fantastic landscape of the afterlife. A place shaped by each man's imagination, belief and misdeeds and - for someone with as colourful a past as Jal that ensures Hel is not a place to linger in. But not everyone in Hel is an enemy and even in so desolate a place there is a chance of peace for a grieving Viking. However, there are worse things than Hel and the Wheel of Osheim calls inexorably to Jal and any few he can gather around him. The wheel is a machine - the machine that broke the world and allowed magic to leak into it so that men (and women) could manipulate reality by the power of their wills. And the machine is spinning faster and faster. There are two images the wheel conjures up for me, the first - the large hadron collider in Cern - I mean come on! In his helpful "previously in the Red Queen's War" catch-up notes Lawrence describes the machine as "mysterious engines hidden in a circular underground tunnel many miles across"
For those with a passing acquaintanceship with particle physics the link will prompt a smile at least, that a machine to probe the limits of reality might in Lawrence's vision of a distant future have ruptured reality so catastrophically. 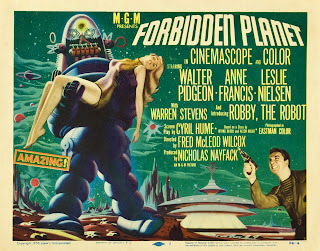 But there was another link too for me - the 1956 film about a 23rd century rescue mission to a space-archaeologist and his daughter wrecked on the eponymous "Forbidden Planet." 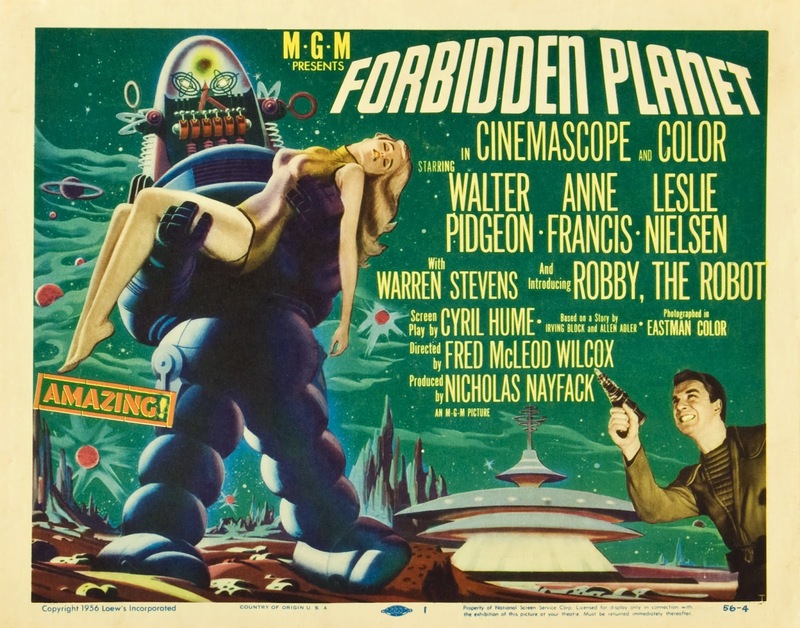 In that film as I recall it, a lost alien civilisation had been wiped out overnight by their greatest invention. The machine, drawing on unlimited resources of power, could create reality out of imagination; so - in their alien dreams - the nightmares came to life and destroyed them. The foolish archaeologist does not realise how he has - unwittingly - harnessed that same power to unleash his own nightmare on the spaceship crew. In the film only the destruction of a planet could turn the machine off. In Osheim... well read the book and find out. The film, however, has another side to it - for it was seen by many as a re-imagining of Shakespeare's play "The Tempest" where the wizard Prospero lives on an island with his daughter and uses magic to manipulate reality and tease and torment some shipwrecked sailors. And I like that. For in the film magic was re-imagined as science and sixty years later in this the sixth book set in the Broken Empire, Lawrence re-invents science as magic.